Blue/Red/White Floral Liberty Tana Lawn Blouse. 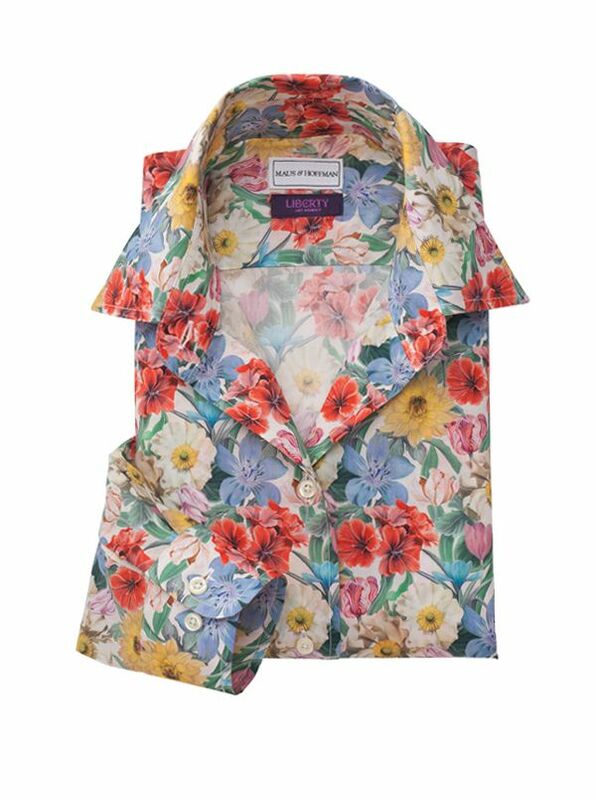 Liberty of London Blouses are treasured for their wonderful patterns, rich colors and exquisite fabrics. All are tailored in America with long sleeves, button cuffs and soft point collar.